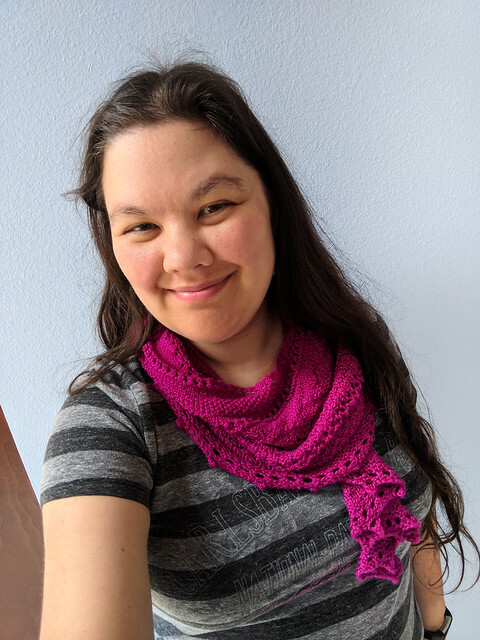 Here’s another project that’s become a new staple in my wardrobe! 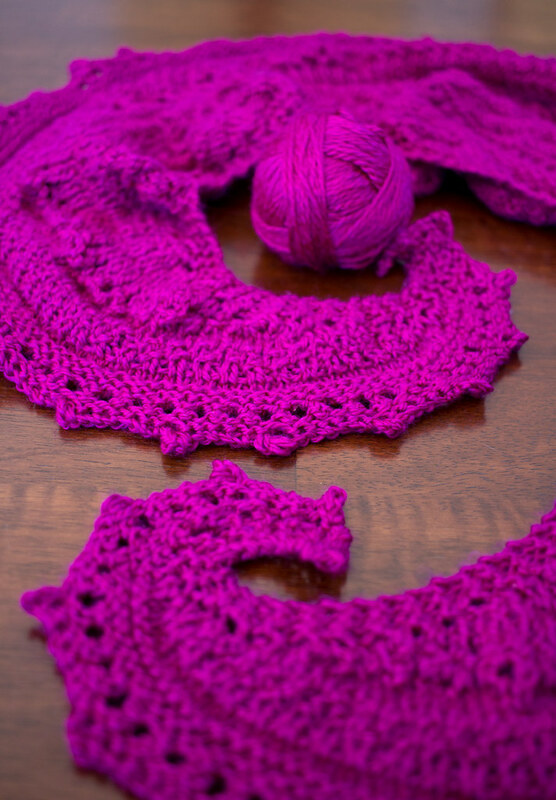 This is a great free pattern with a whole slew of different textures. I wanted something to show off the yarn that was designed for under 400yards of yarn so I wouldn’t have to play too much yarn chicken. 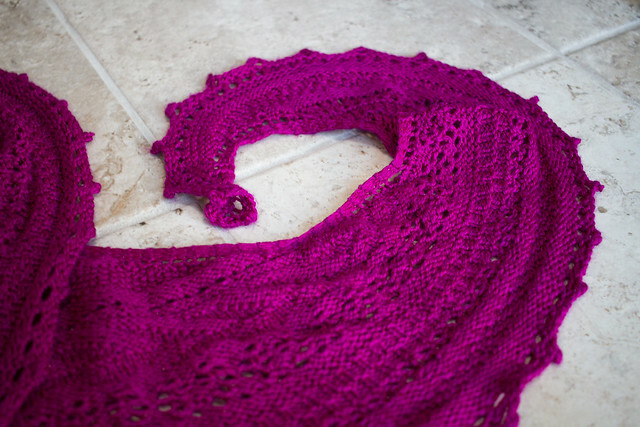 I particularly like the long curly ends on this shawl, which were fun to block and photograph, and look fancy when worn. My only complaint is that the pattern is all written, no charts, and thus it was sometimes kind of hard to figure out how things were supposed to line up. I spent a lot of time looking at included pictures for details. But hey, free pattern! This became my travel knit for my trip to India for PyCon Pune (where I gave the keynote on open source security!). 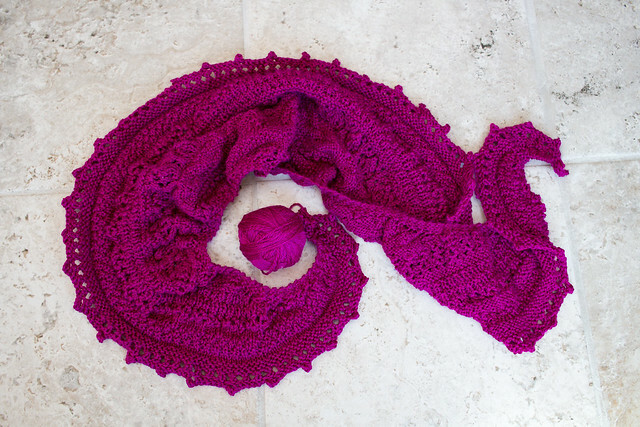 It was challenging enough to make for an interesting knit in transit (that’s a long set of flights! ), but during conference talks I had to be super diligent about marking the pattern, using stitch markers and noting the stitch counts so I didn’t get off track. Overall: this is a great pattern and a great yarn. I rarely do patterns twice, but I might consider trying skysweepings by the same designer. 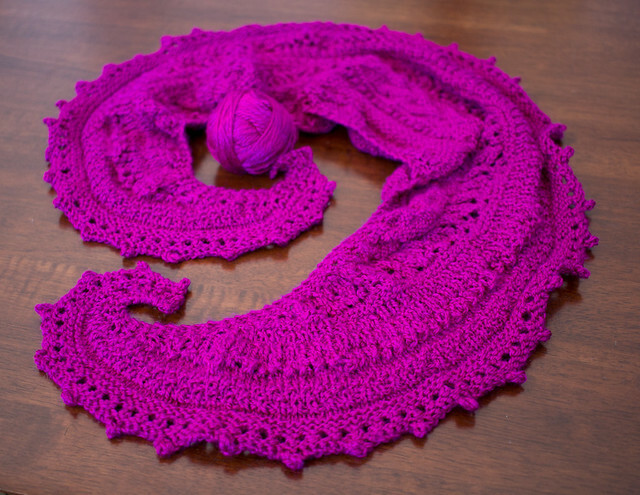 And as for the yarn, well, I may be making a Very Expensive sweater when my resolve crumbles! 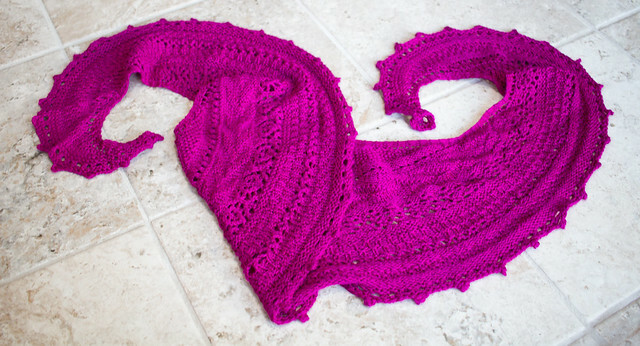 This entry was posted in free pattern, knitting, wearable, yarn. Bookmark the permalink.